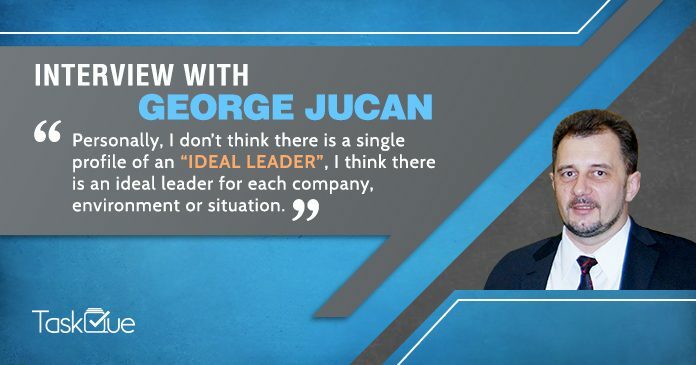 George Jucan is a name to contend with in the international project management community, playing an invaluable role as an author, coach, speaker, trainer, and management consultant. He is the leader of the standards mirror committee, representing Canada in the International Organization of Standardizations (ISO) with respect to project, program and portfolio management. He is an articulate advocate for stakeholder engagement, and during his tenure in the Core Team for PMBOK(r) Guide – 5th Edition, he was one of the promoters to introduce Stakeholder Management as a Knowledge Area. George has authored the famous publication, “A Pocket Guide to Stakeholders Engagement (2017),” and a contributing author for “52 Tips To Break Into Project Management (2014)” and “The Handbook of People in Project Management (2013)”. He is a trainer for Project management courses, a sought-after speaker at conferences and the author of various articles centered on project management, data security, and data warehousing. George has accumulated over 25 years of experience and is currently the Managing Partner of Organizational Performance Enablers Network. He has contributed to multiple PMI standards and is also a former president of the board of directors at PMI SOC. He is from Woodbridge, Ontario, Canada. George: I was fortunate to have the chance to move from technical to organizational management very early in my career. After my move to Canada 20 years ago, I found myself immersed in project-based work. I have been involved in new initiatives before, but not formally organized as projects, so this was an eye-opener for me. As I’m constantly looking for challenges, I was immediately hooked, quit my job and switched to project work that allowed me to tackle unforeseen issues with every project. Moreover, working as an independent consultant allowed me to gain experience with many organizations in the public and private sphere, and to learn to navigate various – usually extremely complex – stakeholder environments. TaskQue: You have been a speaker at various events. Please share some of your memorable experiences. As an example, in one of my sessions, I introduced the concept that the 4 “I” columns in the Stakeholder Registry (specifically Involvement, Interest, Influence, and Importance ) should actually be “for your eyes only” – nobody will actually write the truth in these columns if they end in the shared repository where everyone can them (including the corresponding people), and if it’s not real, why waste time with it at all? At this point, there are always some attendees that challenge this as unethical, which allows me to further delve into the ethics of project management with an interested audience, instead of the normal level of enthusiasm one can see when presenters venture on this topic…. Plus, later in the session, I use this as an example of influencing stakeholders, to create the desired reaction that can see the “project” on the desired path! And as a presenter, there is nothing more rewarding than seeing in their eyes that they are now considering alternatives for things that they always took for granted – that’s when you know that you’ve made a difference! TaskQue: Being a coach of project management, what advice would you like to give new graduates who wish to enter this field? George: The most important advice is to really think if an environment of constant challenges is right for them – you need a specific type of personality to enjoy the constant change, to be able to not only survive but actually thrive in this environment. For them to understand what they’re getting into, I usually compare the life of a project manager with an airplane pilot – but whereas a pilot has a lifetime of boredom with occasional moments of terror, a project manager lives a lifetime of terror, with occasional bouts of boredom peppered in! TaskQue: Being a PM consultant, Which methodologies you Deem best for hybrid projects? George: In today’s world, there are very few projects that can be classified as “pure”, Mostly, all are really hybrid projects – they have components that are suitable for more traditional, high-ceremony approaches, and components that require more flexibility in planning and execution. This translates into the fact that to be successful, project managers must be able to employ a wide range of methodologies, tools, and techniques as appropriate not for the entire project, but for each component of the project. There’s no secret that I’ve been part of the last 3 editions of PMI’s PMBOK Guide, so I do believe that it’s a valuable collection of best practices that are proven to deliver positive results in most projects, most of the time. However, project managers should always remember that PMBOK Guide should not be applied ad-litteram every time – it should be treated more like a cookbook, describing the basic recipe but you always need to adjust it every time to really suit your taste! 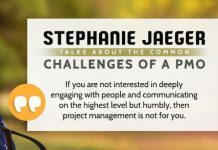 TaskQue: Having spoken on project management and leadership topics, what do you think are the traits of an ideal leader? George: This is a really loaded question, there are thousands of books and research papers on the topic…. Personally, I don’t think there is a single profile of an “ideal leader”, I think there is an ideal leader for each company, environment or situation. For example, while it is generally desired for a leader to engage the people to generate change from within, there are moments where decisive and timely action is required, which doesn’t allow for large-scale consultations. However, there is a bevy of universally accepted traits for a leader, such as the ability to inspire others based on your own strong beliefs, and trustworthiness to maintain their support. TaskQue: Having Authored “A pocket guide to stakeholders engagement “, what do you think is the secret of successful stakeholder’s management? George: As my book’s title is trying to suggest by crossing out the word “management”, I don’t believe that stakeholders can be managed – certainly not in the same way you can manage the team. Stakeholders can be engaged, and their engagement can be managed to provide the most benefits for the project. And yes, sometimes too much engagement or the wrong type of engagement is just as damaging as not enough engagement, so you really have to draw a line on what you need, what your objectives are for stakeholders’ engagement, before planning and acting to achieve them. Too many project managers treat stakeholder engagement as a one-way street, with them feeding the stakeholders with whatever information they may ask for – and hope that this information will create a goodwill toward the project. Effective stakeholder engagement is active and proactive to obtain defined things from them – either information, support, resources, approvals etc. So, start by clearly defining what you need for the project, and actually, do what is needed to obtain it. TaskQue: What do you think is the importance of implementing processes inside any organization? What has been your strategy regarding the betterment of processes? George: Predefined processes are typically good since they stop you from wasting time in each situation trying to figure out what to do next. However, processes for the sake of processes become unproductive overhead – so when following the process takes more time than finding a solution for the specific situation, it’s time to rethink the processes. When optimizing processes, it all comes down to clearly defining the objective of the process, what we are trying to achieve through it and balance it with the cost of the process in terms of efforts (a.k.a. time and money). TaskQue: What are your practices and recommendations when it comes to handling conflicts as a Leader? What are the common mistakes you have witnessed so far? George: Uncover and resolve conflicts as early as possible. In the early stages, conflicts simply arise from an incongruence in ideas or approaches – and as long as there is nothing at stake, it can be solved as a theoretical discussion to help you obtain agreement on a common direction. The worst possible thing to do is to postpone addressing the conflict – not only will it stay put, it will increase in intensity and when it will finally flare out, it will impact things that were already done, in which people invested time and money. They are now committed, and changing the course has significant impacts, which further fuels the conflict and makes it harder to get to a win-win resolution. George: That’s a tough question to respond to; there are so many valuable people in project management who have made tremendous contributions to the profession – such as Max Wideman who led to the publication of the very first “The PMBoK” in 1987, and maintains the most extensive collection of PM terms freely available (http://www.maxwideman.com/pmglossary/), or Dr. J. Davidson Frame who made tremendous contributions to the development of post-secondary education, specialized for project management (https://www.umtweb.edu/FC.aspx), or Peter Monkhouse who modernized the Project Management Institute – PMI and the initial efforts for ISO standardization in project management (https://ca.linkedin.com/in/petermonkhouse). I’ve been fortunate to know them and learn from their expertise, and each influenced different areas of my professional development. TaskQue: TaskQue is a cloud-based team management application created for making team collaboration, communication, and task management more efficient. How do you see such applications in helping teams being more successful? George: The work today is not constrained to the office walls anymore – we are always connected with laptops, tablets, smartphones from anywhere we may be. And, with the globalization trends, work happens at any time of day as well – no more limited to a mere 9 to 5. Unless we’re ready to spend 24 hours per day in the office, we need to take the office with us on the road. And I don’t know about others, but I certainly prefer to do a 2:00 AM conference call from my home office, take notes and assign tasks right there and then – so the entire team from around the world is updated in real-time with what is to be done. Next articleWhich Management Style Suits Best to Your Personality as the Future Entrepreneur?